Ankylosing spondylitis (AS), also sometimes referred to as Bechterew’s disease or Marie Strümpell disease, is a chronic type of arthritis that causes inflammation, pain and stiffness most often in the spine and the joints located just above the tailbone, called the sacroiliac joints. Inflammation means that your body’s immune system is releasing chemicals into your blood and joints that cause pain and stiffness. Why? Because when you have AS, the normal signals that tell your immune system to spring into action — to protect your body from harm by viruses, bacteria, or injuries — are crossed. That’s called autoimmunity. In an autoimmune form of arthritis like AS, your immune system triggers inflammation and attacks your healthy joints and tissues by mistake. That’s why you have pain and other symptoms. The inflammation that AS causes in the spine and joints above the tailbone can, in some people, result in the fusing together of some of the bones in the spine. In severe cases, this can affect your posture to such a degree that you become hunched-forward and cannot lift your head high enough to see ahead of you. AS can also affect tendons or ligaments where they attach to the bones. This is known as enthesitis. For example, when it affects the ligaments in the ribcage it can make it difficult to breathe. AS may damage organs such as the lungs and may even affect the eyes. Men tend to get AS more than women and the disease typically begins in early adulthood. 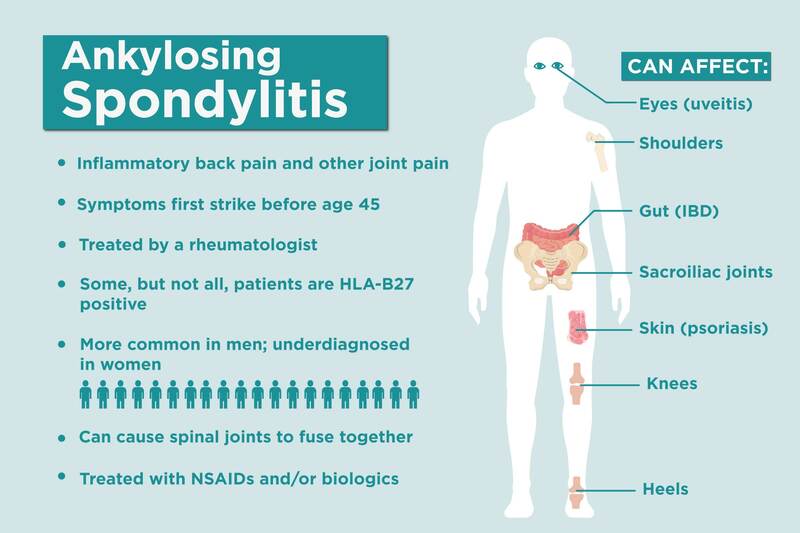 This information is part of CreakyJoints’ comprehensive guide for patients living with ankylosing spondylitis. Learn more or download Raising the Voice of Patients: A Patient’s Guide to Living with Ankylosing Spondylitis. At first, you may feel pain only on one side of your body, or it may alternate sides. The pain is usually dull and feels like it’s all over your body, rather than localized. In the early stages of Ankylosing Spondylitis, you might also have a mild fever, loss of appetite and general discomfort. People with Ankylosing Spondylitis often describe an ongoing, dull pain that feels like it’s coming from deep within their lower back or buttocks, along with morning stiffness. It is not unusual for symptoms to worsen, get better or stop completely at regular intervals. One very important symptom is back pain that wakes you up in the middle of the night. It is important to note that inflammatory back pain is different from mechanical back pain and often people with Ankylosing Spondylitis find that exercise can help reduce pain. People with Ankylosing Spondylitis may also have fatigue and lose range of motion and flexibility in their spine because the joints fuse together. Sometimes the disease makes it hard for the chest to expand when you breathe in. The most serious complication is fracture of the spinal bones. In approximately two to 10 percent of people with Ankylosing Spondylitis, Ankylosing Spondylitis causes various types of heart disease. While there is no specific cause of Ankylosing Spondylitis, experts believe that your genes may play a role. If you carry the gene called HLA-B27 in your family, you may have a significantly greater risk of developing the Ankylosing Spondylitis. However, you don’t have to have the HLA-B27 gene to develop Ankylosing Spondylitis. In fact, most of the people with this gene never contract the disease. Experts believe that something in your environment, such as an infection caused by bacteria, is needed to trigger AS. One theory suggests that Ankylosing Spondylitis may be caused by bacteria from your intestines getting into your bloodstream in the area of the body where the sacroiliac joints are located. There is no cure for Ankylosing Spondylitis but early diagnosis and treatment can ease pain and other symptoms. To prevent these painful Ankylosing Spondylitis symptoms from happening or to slow them down, you have to get your inflammation under control. That’s what your treatment plan — including your Ankylosing Spondylitis drugs and other steps like exercise — is designed to do. The goal of treatment is to reduce the pain and other symptoms, help you maintain normal posture and flexibility in your spine, reduce any limitations in your daily functioning and prevent or delay the complications of Ankylosing Spondylitis, including spinal deformity. Ankylosing Spondylitis treatment is usually most successful if it starts before the disease causes irreversible damage to your joints. There are a number of medications used for Ankylosing Spondylitis. Surgery is usually only used for people with Ankylosing Spondylitis who have severe joint damage. Surgery is usually only used for people with Ankylosing Spondylitis who have severe joint damage. Because Ankylosing Spondylitis can involve so many different systems and parts of the body, it can be difficult for your doctor to monitor your disease. Different doctors use different methods to measure your disease activity and check your progress, including your medical history, blood tests and various types of imaging such as x-rays or MRI. When you have Ankylosing Spondylitis, your disease activity includes three key things: persistence of your symptoms, how likely you are to develop severe Ankylosing Spondylitis disease and damage or deformity of your bones, and your response to treatment. Doctors may use the BASFI and BASDAI – two surveys that ask you about your symptoms such as overall fatigue, pain, joint swelling and stiffness, and how Ankylosing Spondylitis is affecting you and your daily activities. 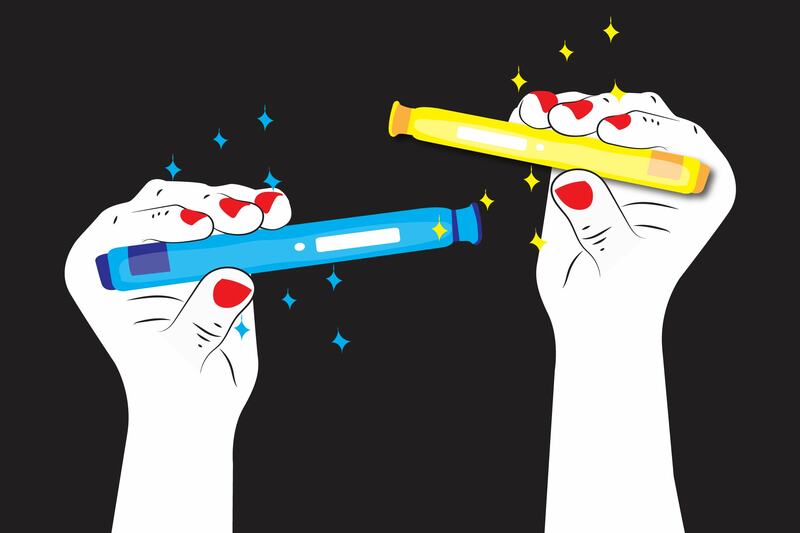 These surveys can help your doctor to determine whether you need a different or perhaps a more powerful drug. Side effects are changes that can occur in our bodies as the result of using a particular medication or device. Side effects can be mild or severe and can vary greatly from person to person. or have pre-existing blood dyscrasias (for example, bone marrow hypoplasia, leukopenia, thrombocytopenia, or significant anemia). If you have active hepatitis A, B, or C, you will need to be treated for that by a liver specialist before you take any drugs for your Ankylosing Spondylitis that suppress your immune system or affect your liver. Your liver specialist and rheumatologist can both decide, if once your hepatitis is either stabilized or being treated, that you can start to take certain medications for your Ankylosing Spondylitis. But you’ll need to be monitored closely. You may need to come in for blood tests often.